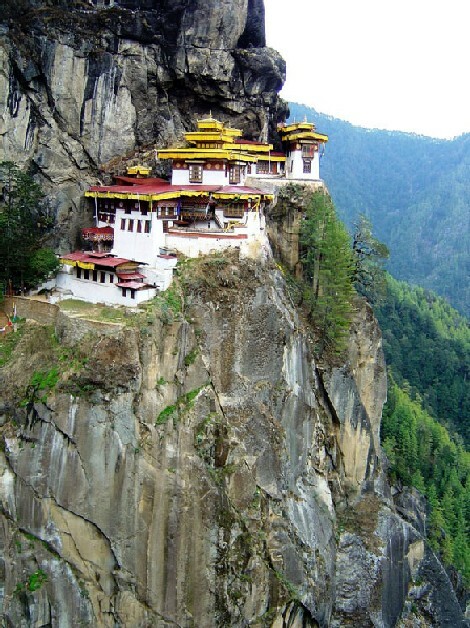 Takeshang Gompa, Tiger’s Nest Monastery, Bhutan…. Here’s one of those places that humans decided to build, despite the remoteness, despite the difficult geopolitical circumstances, despite the fact that there would’ve been much easier avenues to follow. Constructed through the end of eighteenth century, Ishak Pasa Palace stands on a plateau that descends to the northwest. It overlooks Sariova, where the modern city of Dogubayazit is located. The remains of old Dogubayazit lie to the northwest and to the south of the palace. A small mosque (mescit) and a cemetery lie to the southeast of the palace. The northern façade of the palace faces the Dogubayazit Castle, on a nearby hill. The palace was commissioned by local Ottoman governor Ishak Pasa and took ninety-nine years to complete in 1784. Ishak Pasa is also thought to be the architect of the palace. Due to its proximity to the Russian and Persian borders of the empire, Ishak Pasa Palace suffered serious damage during several wars, beginning with the Russian seige in 1828. Stones were removed from the abandoned palace during the re-location of the city in 1934. The upper wooden structure also vanished during this period. 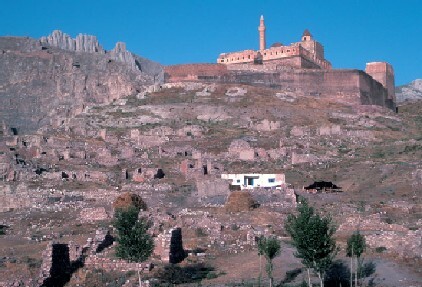 In 1963, the Directorate of Monuments and Museums (Anitlar ve Müzeler Genel Müdürlügü) announced a campaign of preservation for the site and several restoration projects were undertaken since, including a general cleanup and excavation of the site and the maintenance of the east and south façades in 1966. And it’s got a “harem section” with gardens! General view from southwest looking up the hill towards the palace….